UK Wildlife Law: An Introduction Jul 31, 2015 Introducing our New UK Wildlife Law Course There’s a real interest among those in Britain who work with wildlife, either professionally or voluntarily,..
Five Things We Learned From Storm Katie Mar 29, 2016 Modern life often brings with it a profound disconnect for people in the first world from the natural world. Rain is an annoyance, easily avoided by stayi..
Why Saving Biodiversity is Important Feb 06, 2017 The subjects of Biodiversity and Climate Change are rarely out of the News. While most of us support the active conservation of our beautiful planet, some are c.. Snapshot: The Leopard Seal Mar 15, 2017 Sinister Reptilian Leopard Seal (Hydruga leptonyx) Visitor. Essentially solitary and circumpolar in distribution, usually on outer ..
Lichen Pollution Dissertation Mar 26, 2018 For my final year Ecology degree project, I chose the unlikely subject of using lichens as pollution monitors. 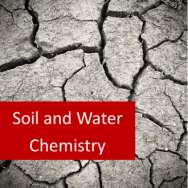 Whilst the subject sounds as dry as an old ball o.. The History of Pesticides: Part II, Banned Pesticides Dec 07, 2018 Introduction In the middle of the twentieth century the public view of pesticides was very positive (Mart, 2015, pp. 11–30). These chemicals were s.. So you want to be a Conservationist Mar 05, 2019 The world is in dire need of more conservationists. Is it a well paid profession? No. Is it difficult to get paid work? Yes. Are those working in conservati..
Hi, If I would like to take option where students an exam is required, where and when will that take place? The final exam is taken at a time and place of your choosing as agreed to by us. Please let us know if we can be of any more help. Hi, I am based in Singapore and I have queries regarding the part "Contact a laboratory (either by telephone, email, or in person) that carries out tests for environmental contaminants. •Research the organisation in the local area ..... •Contact an Environmental Consulting Firm that carries out Environmental Assessments... •Contact the local government organisation to determine what sort of environmental assessments are required for the different classes of development. Does this mean all this will be based on local context? Background reading of foundation principles of what the lesson teaches, which apply universally. Set tasks such as you cite, to help you develop a deeper understanding and to make what you learn applicable to your own needs and to your geographical area in the world. Written assignment which are marked and graded by your tutor, to validate your learning. I hope this answers your question and please come back if you need any more information. This online course will help you learn to prepare Environmental Assessments of all kinds that comply with national and international regulations. Vacancies as an Environmental Consultant or as an Environmental Officer have significantly increased in the last decade, due to the need for people with the ability to assess the resilience of the environment to changes posed by the modern world. This refers to the process of deciding whether an environmental assessment needs to be carried out. A number of screening methods have been devised, including the use of positive and negative lists, screening matrices and initial environmental evaluations (IEE). Scoping is the process by which the key issues and concerns of interested parties (stakeholders) are identified, in order to determine the most important issues that should be addressed in the EA. Scoping may include determining exactly what type of assessment is required according to the law. This is the largest and most time consuming step. A number of factors are required to be considered within this step, including carrying out baseline studies, identifying potential impacts of a development, proposing project alternatives and considering the views and concerns of the public. Public involvement is an essential part of the environmental assessment process. It should be part of the process of gathering information for analysis. This is particularly important where proposed developments are likely to affect members of the public (remember that there may be considerable backlash from the community if they have not been consulted about an issue that is important to them). The public are also able to provide assessors with more detailed information on their local area and may be better able to identify potential environmental impacts. Public involvement might take the form of public meetings; calls for submissions or surveys. Such public involvement may be required by law in some countries. Public participation may be time consuming and more costly in the short term, but it can increase the acceptability of the project and reduce conflict and delay. Information collected should be used in the Environmental Assessment Report. The findings of the study are assembled into a document that is often referred to as an Environmental Impact Statement (EIS). Learn how to take all the steps in this course and develop the knowledge and skills required to work in the environmental assessment industry. 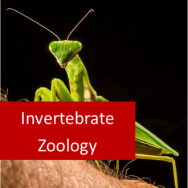 Follow up with one or more of our animal or plant conservation courses, to expand you areas of expertise even more. General Principles and Overview of Environmental Assessment. Environmental Impact Assessment and Environmental Law. 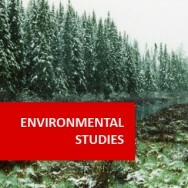 Research into Domestic Environmental law. The Research Project is the student's opportunity to test out their skills as an environmental consultant. 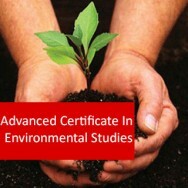 In this project, the student will carry out a small environmental assessment and write it up as a professional report. Contact a laboratory (either by telephone, email, or in person) that carries out tests for environmental contaminants. Learn to prepare Environmental Assessments of all kinds.Work in this area has expanded greatly in recent decades, and when combined with a knowledge of plant or animal identification and ecology, this course develops an extremely valuable skill. Research the organisation in the local area that handles environmental complaints and the procedure for lodging such complaints. 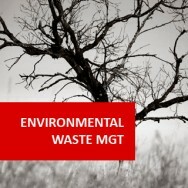 Identify developments that require an environmental assessment. 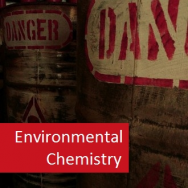 Contact an Environmental Consulting Firm that carries out Environmental Assessments to determine the most common type of environment assessment in the local area. 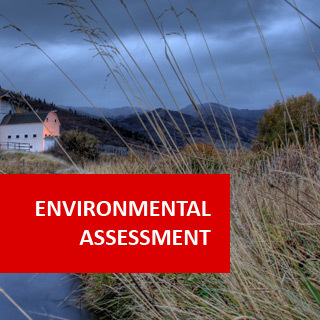 Contact the local government organisation to determine what sort of environmental assessments are required for the different classes of development. 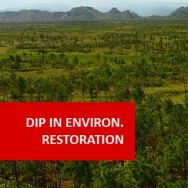 Research one treaty that influences environmental issues in the locality. Research the legislation in the student's home country that governs the preparation of environmental assessments. Research the legislation in one other country that governs the preparation of environmental assessments. Compare the two. Identify factors that influence developer's decisions on where to locate their developments. Source the original data from an Environmental Assessment to determine how the data was analysed after collection. Write one "dummy" environmental assessment from beginning to end. 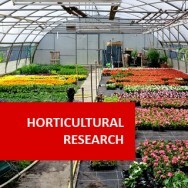 Carry out a major research project in the form of an environmental assessment. This project will include data scoping, study design, data collection, data analysis, conclusions and a professionally presented final report.